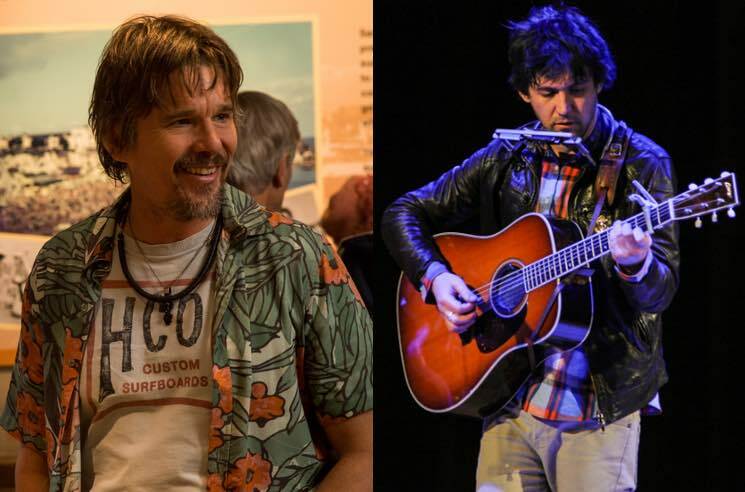 ​Hear Ethan Hawke Sing a Conor Oberst Song for "Juliet, Naked"
Ethan Hawke stars as a reclusive singer-songwriter in the upcoming film Juliet, Naked, so it only makes sense that the soundtrack features songs by the like of Ryan Adams, M. Ward, Robyn Hitchcock and Conor Oberst. And just ahead of the film's arrival, we get to hear Hawke doing a rendition of the latter's unreleased track "LAX." Billboard has now revealed Oberst's piano-accompanied demo version of "LAX," as well as Hawke's own raucous full-band rendition of the track. Listen to both in the players below. The Jesse Peretz-directed Juliet, Naked also stars Rose Byrne and Chris O'Dowd. It hits theatres on August 17.